Released four days ago on Huffingtonpost.com, their article, Sadly, Rachel Maddow Just Insulted Every Independent Bookseller in America is written by bookseller William Petrocelli who took offense at the comments made on the Rachel Maddow Show on December 19. Ms. Maddow likened Sony’s failure to release the movie The Interview to bookstores in 1989 who refused to carry The Satanic Verses until the public outcry caused the books to be sold again. Mr. Petrocelli does not agree that this is a valid comparison. A very merry Christmas to all who follow this blog and to casual observers! Thank You for making my first blog such a fun learning experience. I truly appreciate your interest and support, and wish you all the very best in 2015. Huffington Post’s article, The Book We’re Talking About: ‘Here’ By Richard McGuire is worth checking out. Their review of a graphic novel that documents a single room over the course of centuries sounds like a really interesting read, with events happening from different time periods on the same page, creating drama and intrigue. A Boon for Independent Bookstores; ‘Clifford’ author dies. Author James Patterson completes donations totaling $1 million to independent bookstores. Click here to read Book News: James Patterson Makes Good On $1M Promise To Indies posted by NPR.org. ‘Clifford The Big Red Dog’ author has passed away at age 86. He had a fall about three weeks ago, and was in a hospital in Martha’s Vineyard ever since. Read about his life and accomplishments in Norman Bridwell, ‘Clifford The Big Red Dog’ creator, Dead At 86 at HuffingtonPost.com. Is there one book that really stands out as a gift that made a lasting impression? There is one book that immediately comes to my mind that I received when I was 8 years old. It’s called, My Big Christmas Book by Hayden McAllister and my dad gave it to me for Christmas. I poured over it that year and continued to read and re-read it for years after. 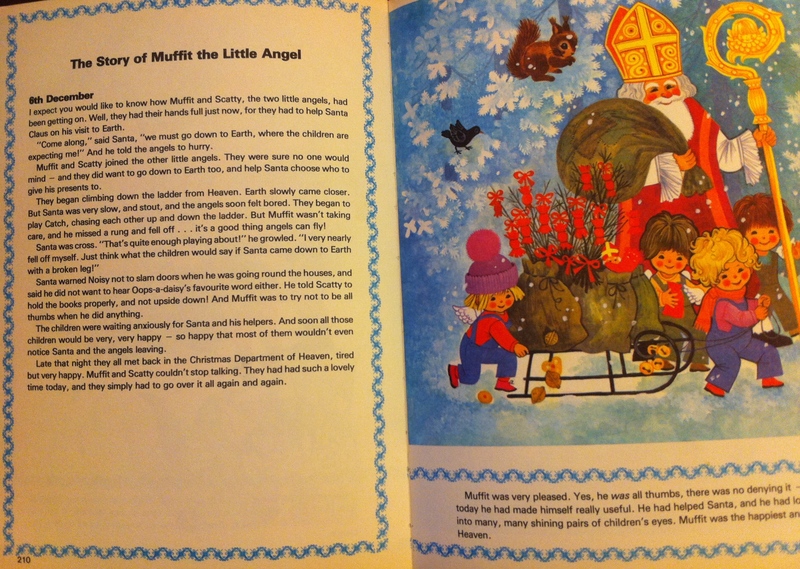 It has many short stories, as well as songs and recipes, all interspersed between 24 installments of “Muffit, the little angel,” and it’s a whopping 327 pages! The illustrations are charming, and the stories are heart-warming. It was a wonderful gift, and I’ve treasured it all these years. 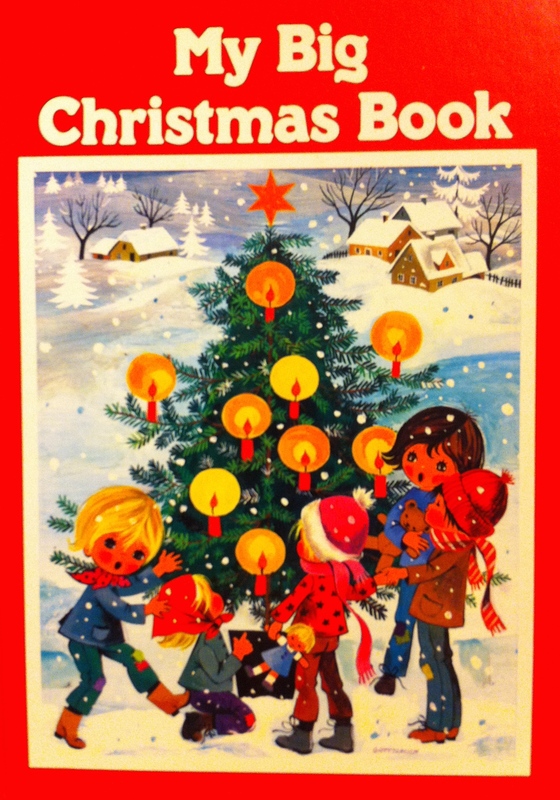 Is there a special book (it doesn’t have to be about Christmas) in your collection that someone gave you? What makes it special? Book News: Apple Enters A New Round In E-Book Price-Fixing Fight posted by NPR.org. A judge ruled last year that Apple and the Big 5 publishers (Hachette, HarperCollins, Macmillan, Penguin and Simon & Schuster) had colluded in price fixing their e-books, and Apple is due back in court on Monday. Click here to listen to a six-minute interview with the school’s VP and a student as they tell about the 1800-book giveaway they’re doing for newcomers to Canada. From CBC News. “The Classic That Beautifully Explores Identity and Race” by Greg Mortimer Off the Shelf is an interesting article about the author’s thoughts on Invisible Man by Ralph Ellison. This article was released on Dec. 12, 2014, but these stats have been out for a while. I think it’s worth posting here because it is interesting to see how eBooks are faring in book purchase statistics. As a paper book lover at heart, I always cheer inwardly just a little when I hear that eBooks haven’t taken over yet. Click here to read Publishers Weekly’s article, Another e-Book Dip. To some of us, books are sacred objects, and should be left in their natural state. To others, however, re-inventing or up-cycling a book can bring new life to one that would otherwise have sat unused and unread, gathering dust and providing no new joys or insights to its owner. 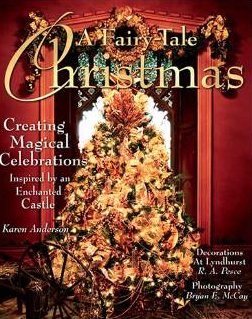 With that in mind, I found some delightful tutorials on how to make festive holiday decorations using old books. May your books be merry and bright! Sometimes it doesn’t really feel like Christmas until your books are Christmas too. 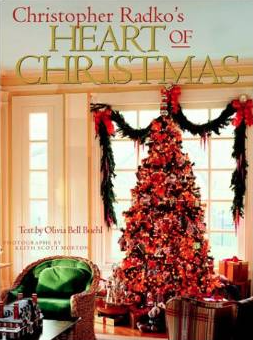 If your coffee table hasn’t embraced the holiday season, maybe some of these titles will help make your space a truly festive one. This book is on the small side, measuring about six inches square. But don’t let its size fool you. 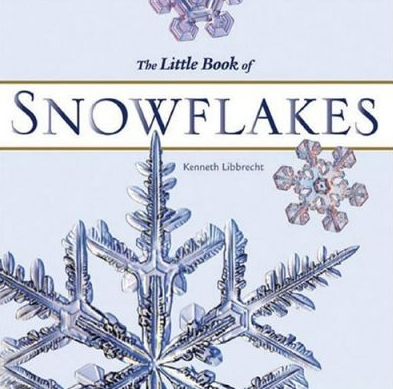 Full of astounding photographs of magnified snowflakes, many people have expressed their wonder and disbelief thumbing through this one. It’s a definite conversation-starter! Click here for more info. 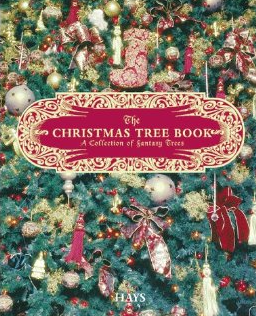 And Lastly, even if you’re all grown up, there are always those classic children’s Christmas books that we never get too old for. 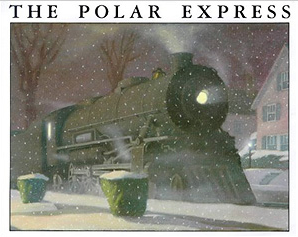 One of them is unquestionably, The Polar Express by Chris Van Allsburg. 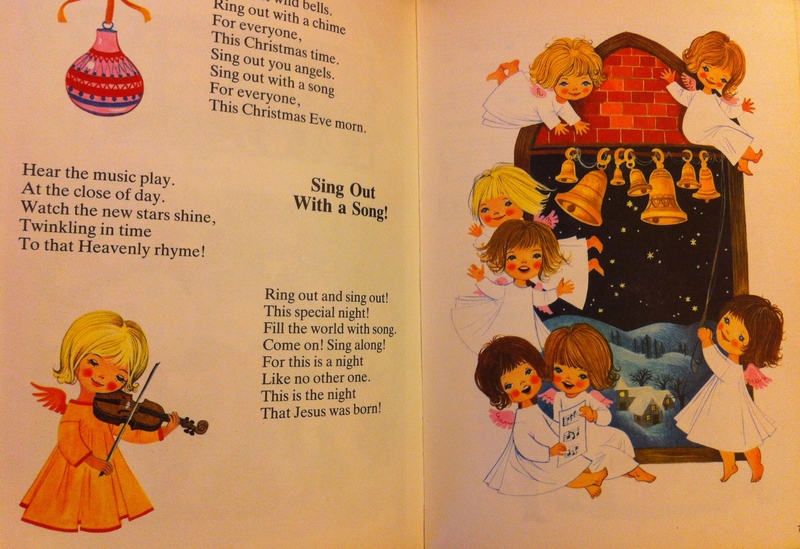 This book makes people’s hearts smile, and I guarantee your guests will start flipping through it just to see those familiar illustrations one more time. We all know this classic: it brings to life every child’s dream of meeting Santa. For that reason, I recommend adding it to your Christmas décor. Young or old, we all love it!